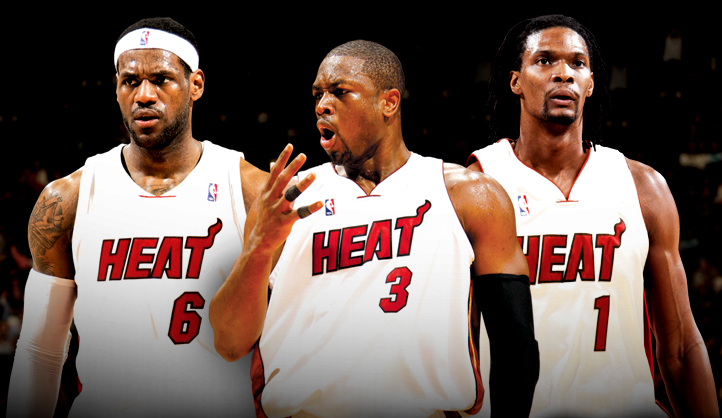 Wade, James & Bosh: Is there Hope for Black Unity? 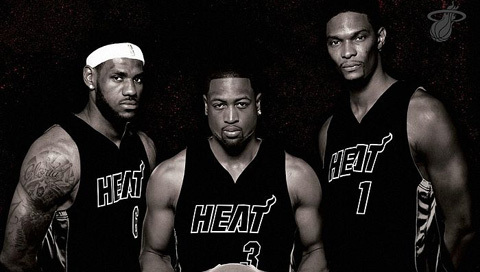 Before James made the decision, there were rumors that Wade, James, and Bosh met up to discuss a future and a plan; to get a national championship. The interesting fact about these 3 black NBA superstars was they had their eyes on a common goal; to beat the Boston Celtics in the playoff (Celtics have been a major obstacle for the Heat) and win a NBA championship. They each SACRIFICED to work TOGETHER to get this “Championship” team together. Wade didn’t receive the raise that he could have received. The purpose was to free up cap room for his future teammates. Bosh, could have easily received more money elsewhere, and “King” James lost over $10 million coming to Miami. Now, notice how more athletes in the NBA are starting to come together and build the teams they want to play for. This is a good thing, if they realize the bigger picture–they are displaying unity, and sticking together for a common cause. However, you can bet the owners and those in higher places of power have noticed it too. For so long, we wanted to come together to accomplish a goal. We (minorities) were either persuaded by money, status, or some position and the movement ended. As demonstrated by the Big 3, money shouldn’t be a problem when your eye is on a common goal. We as a people should look at this and learn how to sit aside our differences to accomplish a goal. Although they play basketball, but there is a lesson in that trade for US, that are striving to make it. The lesson is UNITY. If you break down the word UNITY, you see that it involves U–N–I (say it to yourself), then the suffix “ty” meaning, “denoting quality or condition”. You and I, have to condition our minds to love ourselves and each other, once we have self-love, we can then love each other. The second commandment states, “Love thy neighbor, as you love yourself”. Once we demonstrate this principle, then our UNITY will come natural. I would like to humbly recommend that our NPHC Greek community (on campuses and in the community) work together, NOT just for political reasons, but to accomplish the objectives the founders of our organizations established (uplifting our community). Our religious bodies should definitely work together, stop letting our labels (Muslim, Christian, Jew, or whatever) hinder our efforts to work together for the common goal of uplifting our people and humanity. Imagine the change WE can produce! I hope the little I am able to share has helped you gain a deeper understanding of the simple things that are around us, i welcome all comments, even if they disagree with what I say, please share them below. I also welcome all that want to share a story with me. Thank you for taking the time to read my words, I honestly appreciate the support! Well, with the upcoming labor disagreement with the NBA I am not sure if the owners will dissemble the BIg 3 in Miami and also prevent future players from uniting. We must wait and see. You are absolutely right. UNITY is key and WE get out of our own way to united for the common good. There is a popular adage which states, “A house divided can not stand”. Throughout history empires divided and conquered and we can no longer allow any one to divide us as a people to exploit our talents and gifts. The Heat overcame all the negative publicity and are now in the FINALS.. Dwayne Wade said it best last night. “YOU CAN NOT HAVE HEAT WITH HAVING HATE, HATE IS IN HEAT…” H-E-A-T/ H-A-T-E…. I pray that our American public can see the deeper meaning behind this epic move that these players did. Continue to blog intellectual topics and I am honor to be educated by you good brother!! !